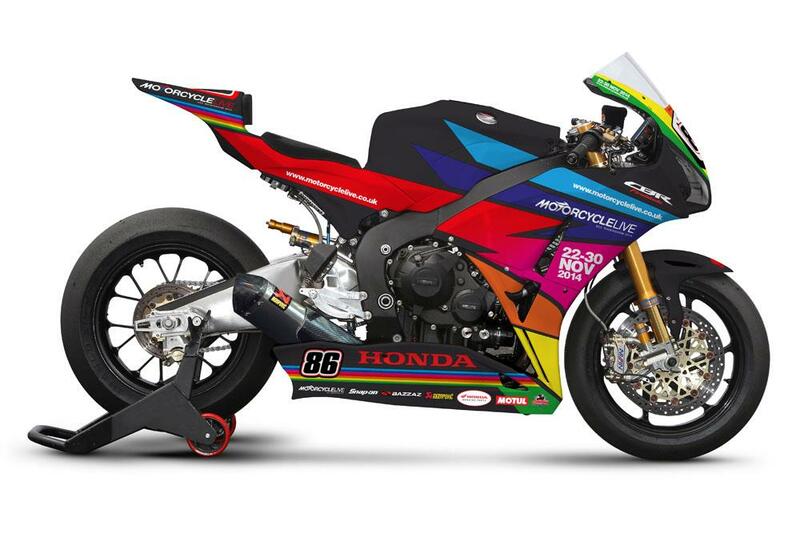 Honda Racing will celebrate the UK’s biggest motorcycle show this weekend at Silverstone’s MCE British Superbike round, as the wildcard Honda of Julien Da Costa takes to the track in a special paint scheme. The colours, the second of three special edition Honda Fireblades and following on from Snetterton’s Urban Tiger replica, will use the fluoro colours of the NEC show to advertise this year’s event, which runs from 22nd-30th November. The reigning champions sat out the 2014 season after failing to secure a title rider, but have competed competitively in two wildcard appearances to date with their French Endurance World Championship rider Da Costa. Advance tickets for Motorcycle Live are on sale now priced at just £17 per adult, £11 for Seniors and £7 for children aged 11-16* (kids ten and under accompanied by a paying adult go free). To book, call 0844 581 2345 or visit www.motorcyclelive.co.uk.